Thanks for your latest email. We appreciate hearing about the successes our young members have enjoyed both here and abroad. And congratulations to all concerned, especially to the great coaches for their ongoing guidance and support of our athletes. When our family moved from Victoria in 1978 we decided to try cross-country skiing, and the Telemark trails beckoned. It has been almost 40 years since we’ve been members, and we are still enjoying the trails. Thanks for giving us the opportunity to help keep ourselves fit and at the same time help to support a fine local organization. 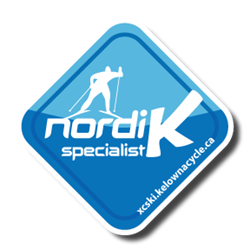 Keep up the good work, and best wishes for yet another great ski season!